How stunning are our Marble Pyramid Favor Boxes? These are the perfect packaging for your dreamy wedding or bridal event. 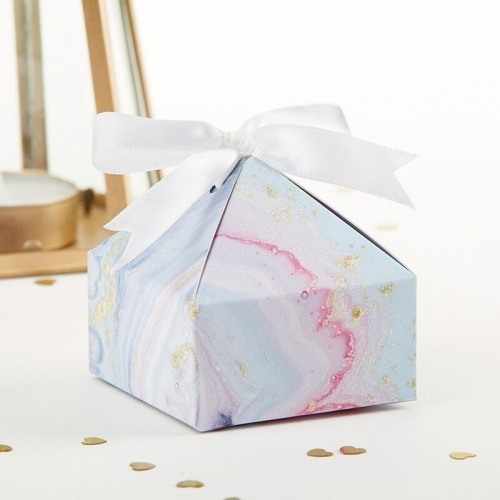 Favor boxes feature a lovely geode print that can hold treats and other favor items you desire. The Marble design is sure to leave a lasting impression on your guests after the big event!